Cameras Downunder Gallery - Stereo/Doraemon Stereo camera. photo 1. Doraemon Stereo camera. photo 1. 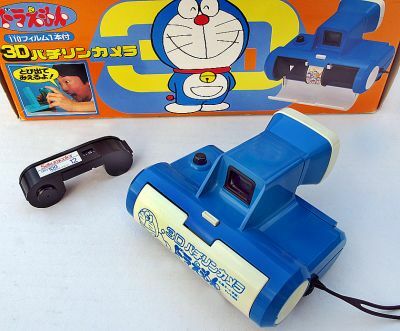 Doraemon Stereo camera takes 110 cartridge film, with folding viewer, the cameras front folds down to expose the Lenses, made in Japan ca.1987. very hard to find.